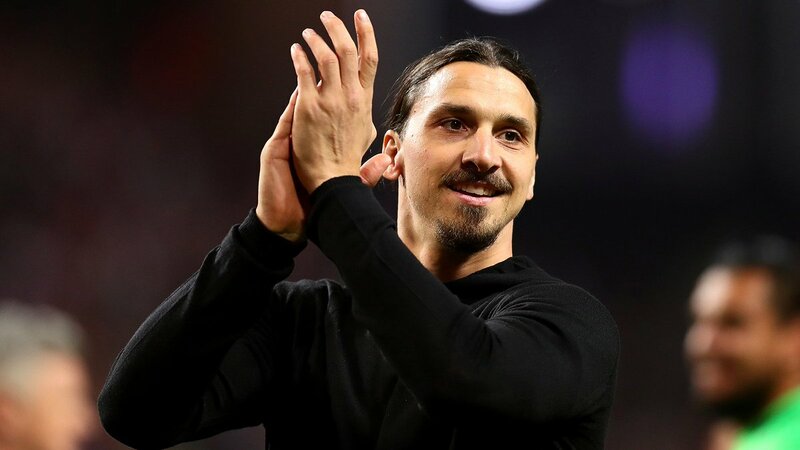 Sweden footballer Zlatan Ibrahimovic has sent a farewell message to the club’s supporters after reaching a mutual agreement with Manchester United to terminate his contract. The 36-year-old’s final appearance for the Red Devils came in a 2-2 draw versus Burnley on Boxing Day, where he was substituted at the half-way mark. Ibrahimovic sustained a serious knee injury against Anderlecht during the backend of last season, and at one point, it felt that he would never make a return to competitive football. However, he managed to make a miraculous recovery to return in November, though it was short-lived after he felt some comfortableness on the same left knee. Mourinho had thereafter cited that the veteran would return to first-team action at some point in February, but unfortunately, this never came into fruition as he decided to cut ties with the club prior to the expiry of his contract in the summer. Since his Red Devils departure, the Swede has been announced as a LA Galaxy player, and the marksman is looking forward to winning trophies with the MLS side. Meanwhile, Ibrahimovic has also not ruled out a potential return to the Sweden national side, nearly two years since hanging up his boots. The 36-year-old had previously dismissed the possibility of an international comeback, but his experience could come of use to Sweden, who are pitted in a difficult World Cup group which includes Germany, Mexico, and South Korea. Copyright © 2019, Man United News.